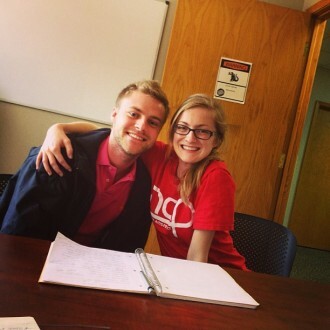 Students and interns are vital to the growth and everyday functioning of Nebraska AIDS Project. Fresh minds lend new ideas and assist every department in a variety of tasks. Students and interns are chosen via a highly selective interview process. We take internships very seriously and strive to work with the best and the brightest in our community. Our students and interns are given substantial responsibilities during their time with NAP so it’s imperative we accept students willing to learn and contribute to the agency. NAP accepts interns from accredited social work and counseling programs (both bachelor’s and master’s) as well as from public administration, dual degree social work/public administration, and marketing programs. As long as we have an employee available and qualified to supervise an intern, we are open to accepting students from a variety of programs. We expect a high quality of work from our students, and in return they receive excellent hands on training in their field, a laid back work environment, and a highly regarded internship to add to their resume. Not to mention, we’re known to hire our students.